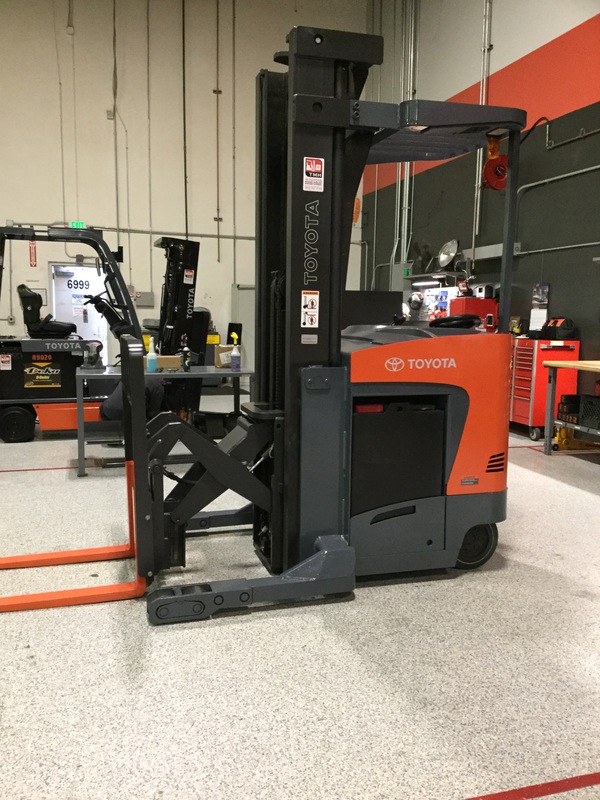 This used 2015 Toyota, model 8BRU18, electric stand-up reach truck is being offered for sale by TMH. This order picker has a 3,500 lb. load capacity, BLID 33", 36v and 42" forks. 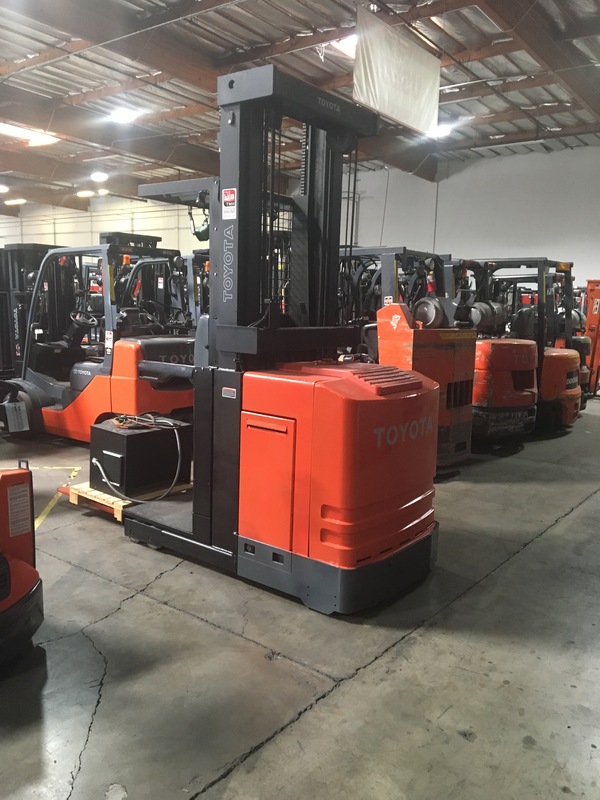 This used 2014 Toyota, model 8BRU18, electric stand-up reach truck is being offered for sale by TMH. This order picker has a 3,500 lb. load capacity, side shifter and 42" forks. 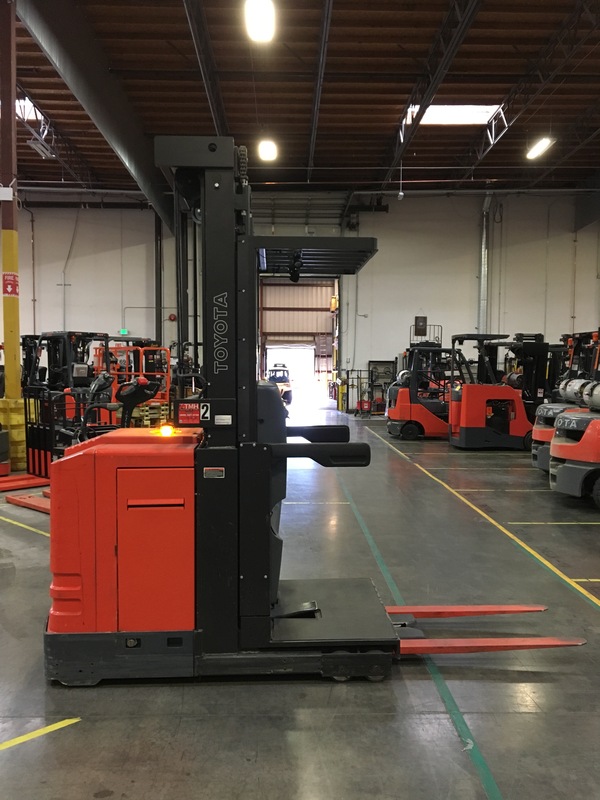 This used 2011 Toyota, model 8BRU23, electric stand-up reach truck is being offered for sale by TMH. This order picker has a 4,500 lb. load capacity, side shifter and 42" forks. 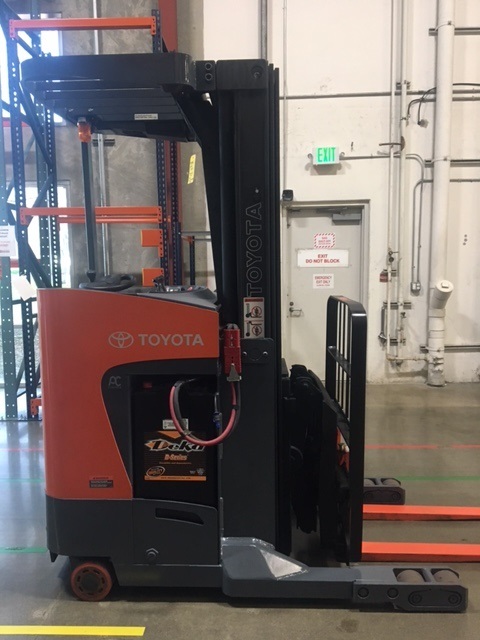 This used 2012 Toyota, model 6BPU15, electric stand-up order picker is being offered for sale by TMH. This order picker has a 3,000 lb. load capacity, side shifter and 42" forks.